The yolk of the sun is yet to start melting down on the horizon. A ship appears in the Shela River, breaking through the misty fog. This ship is sinking. Slowly, thick, sticky and dark gilded liquid approaches the forest Sundarbans like the saliva of a dragon to swallow it. This disaster evokes demons in the Sundarban tigers. They start destroying human habitats. Who will save them? 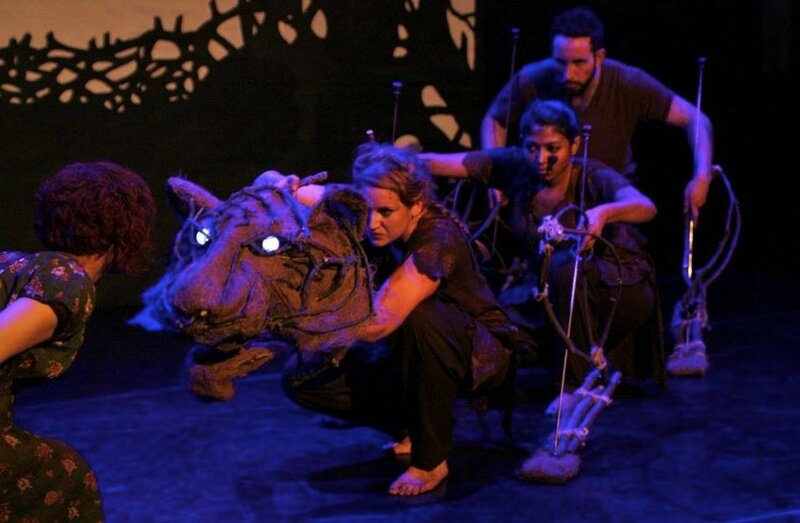 Based on the traditional Bangladeshi tale Bonbibi this story explores the impact of manmade disasters on the surrounding wildlife and its local people. The play is produced by Komola Collective, a London-based theatre and arts company dedicated to telling the stories that often go untold - stories from women's perspectives. This performance uses shadow puppetry, rod puppets, physical theatre and Bangladeshi music.